Although seen by many as the pinnacle of mobile device tech, iPhone can be a temperamental piece of kit to own. Not only are they loaded with features, but these features can become a little challenging to actually work with. For example, being to even empty your iPhone of all of its personal and private data can be a real challenge. If you want to learn how to erase your iPhone 4, you want to learn how to do it permanently. Thankfully, tools exist that make managing this process so much simpler. Your first solution is to wipe your iPhone 4 using solutions it provides on the build itself. Once inside, click ‘Restore iPhone’. It will remind you if “Find My iPhone” is not turned off on your iPhone 4. Then it will ask you to enter passcode, though. If you do not have that passcode, then you have to use another means of data restoration. If you lack a password, then you can still find a different way to get around the problem. And no, it does not involve a hammer! Start off by connecting the USB cable to your synced PC again. Don’t plug the iPhone in just yet. Then, turn your iPhone 4/4s off. Press and hold down ‘Home’ button on your iPhone 4/4s and, whilst holding it down, connect your iPhone to the PC. Wait until the iTunes icon appears, and then let go of ‘Home’ on the iPhone. This puts your iPhone into Recovery Mode. Afterwards, simply click on ‘Restore iPhone’ on iTunes and watch the scenario unfold. Once prompted, hit ‘Restore and Update’ and let the software work its magic. You might need to go through some legal jargon to get there such as Terms and Agreements, but they really do not take that long to work through. However, going down this route can leave your iPhone 4/4s in a bit of a muddle. It tends to be quite regressive in the way that it forcefully removes information. It also does not always remove ALL traces of information – to do that you need to have specific software. To remove all password/PIN traces, you need more. Your main solution to handle this irritation, then, comes in the form of using iMyFone Umate Pro. It’s a powerful piece of kit and one that makes it very simple to get even the most irritating of information off your device. From removing all passwords before selling it on to getting rid of old apps, you can use iMyFone Umate Pro or iMyFone Umate Pro for Mac to make the job a whole lot easier. If you want to learn how to wipe iPhone 4s devices, then this tool is going to make that as easy as possible. 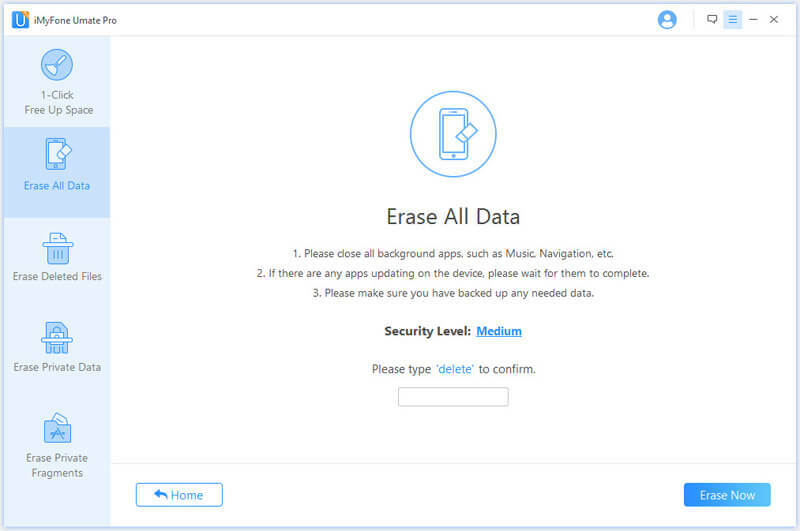 Besides, data erased by iMyFone Umate Pro does not leave any chance of recovery for even the latest recovery tools. It is the safest way to keep your personal data from leaking. Provide ability to wipe all data from your iPhone mercilessly – erasing everything. 1-Click to clean up much more free storage and remove old, unwanted media and apps, and more. 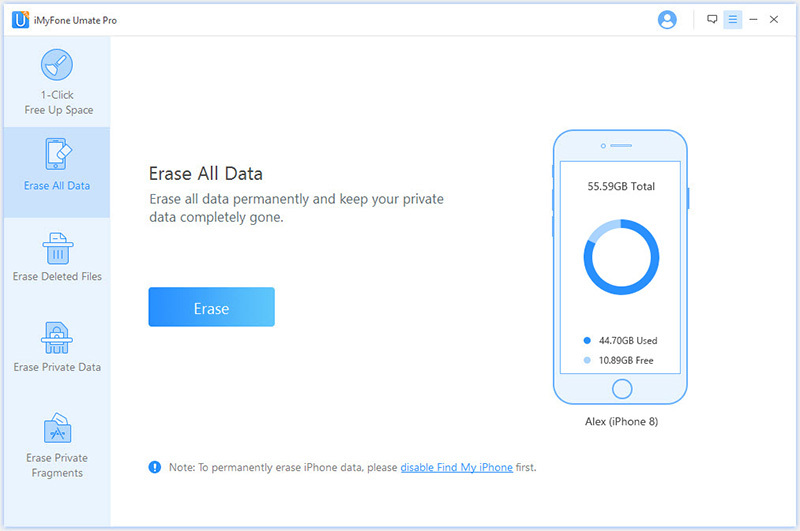 Selectively erase some private data to keep your iPhone from having anything on it that you want to keep private. 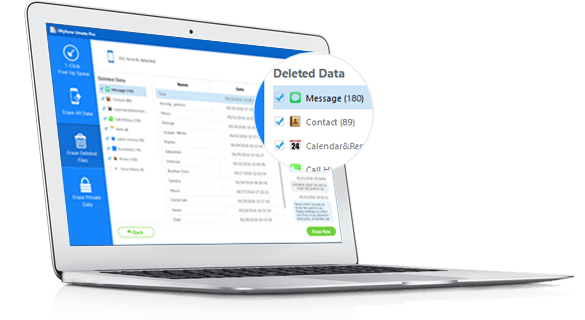 Find out previously deleted data or files and completely erase them. All iOS files are supported to be erased or deleted. You can preview or back up first before deleting or erasing. To permanently erase iPhone 4/4s, you simply need to follow the process. 1. 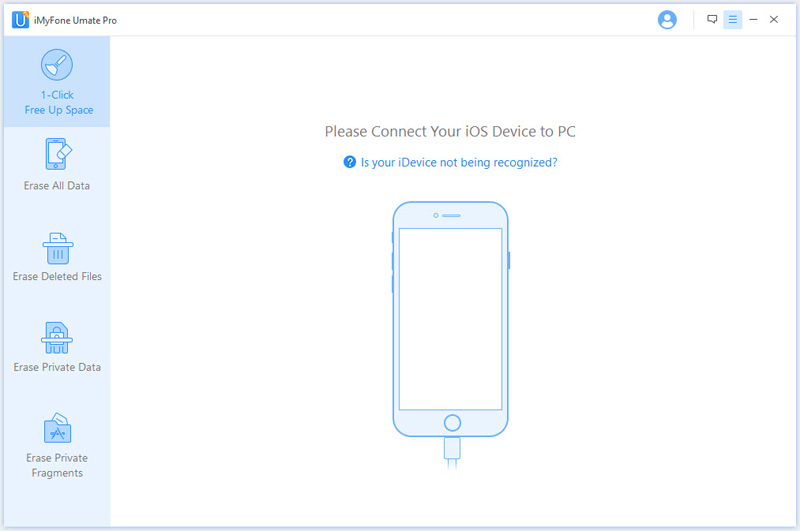 When iMyFone Umate Pro is installed on computer, connect your iPhone 4/4s to it with its original USB cable. 2. Launch the software and go to “Erase All Data” tab and hit “Erase” button. 3. Type “delete” into the box to confirm and tab “Erase Now” button to start the erasing process. As you can see, using tools like iMyFone Umate Pro makes perfect sense from a logistical point of view. It removes the challenge and the long-term time it takes to remove all of the old data from your iPhone. If you want to keep that iPhone 4/4s clear of all data and the like, then this is the easiest way to do that.